Winter Has You Down? Start Preparing for Spring! This morning, to our heartfelt delight, we awoke to the sound of birds chirping in a rain shower. With a sigh of relief, that warm feeling of spring arriving lifted our spirits… until we remembered that it’s still February. If you’re feeling trapped in the gloominess of winter, we have a suggestion that’s always worked for us: just start preparing for spring! With March beginning next week, spring really is around the corner, even if the snow on the ground says otherwise. Paint a picture of spring in your mind: waking to the sound of birds chirping and watching them in your yard in all their beautiful colors… Those are perfect examples of the little things in life we all treasure. Encourage birds to come to your yard and add a wonderfully eye-catching touch to your landscaping with our bird feeders and baths! We are over the moon with how adorable this piece is. 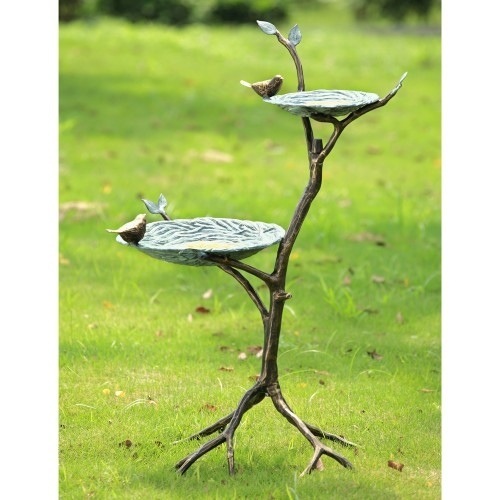 The Bird Nest Hanging Bird Feeder is a wonderful compliment to any yard. Simply hang it in your favorite tree in the yard! Fill the nest with water in place of food to transform it into a small bird bath. Click here to visit this product page! We don’t know about you, but we think this little frog perfectly conveys that well loved feeling of cooling off by the water! 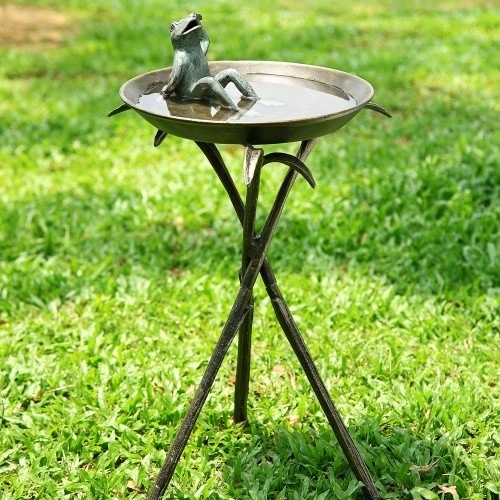 The Cool Frog Bird Bath adds a sense of whimsy elegance (that’s right, we said it) to any yard. We’ve saved our favorite for last! Have you ever sat and listened to the birds, wondering what they could be saying as they chirp and tweet? 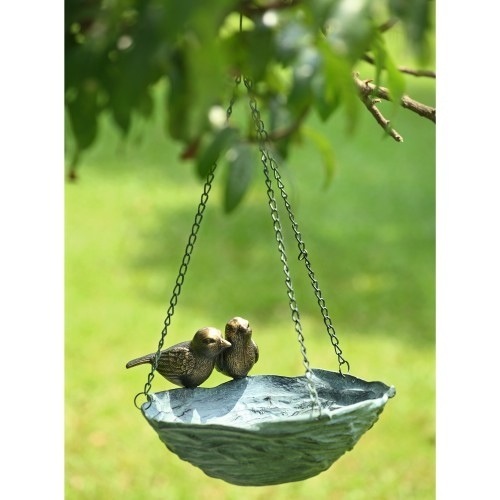 Keep on pondering as they gather around this lovely Gossiping Birds Bird Feeder and fill your yard with their musical chatter. 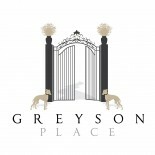 Find more unique pieces to add a fun and stylish touch to your yard in the new Greyson Place Garden shop! This entry was posted on February 21, 2014 by Kaitlin Wagner in Garden and tagged Bird Baths, Bird Feeders, Birds, Garden, Greyson Place, Home & Garden, Shopping.